Decisions Decisions: New Hair for 2015? Most people bring in the new year with the outlook that "New Year, New Me" and that normally includes the typical going on a diet, getting back into the gym, leaving that crappy minimum wage job you hate. Trust me, I've made them all. But one I've never really believed in was "New Year, New Hair". Why should a new year be a reason to change your hair? If you wanted to cut it before, just do it! Having said that though, the past few weeks I've seriously contemplated cutting all of my hair off and having something different to my usual long wavy locks. Obviously I'm not going to go mental and go really short as that would never suit me and I'd probably end up hating myself and buy a wig. 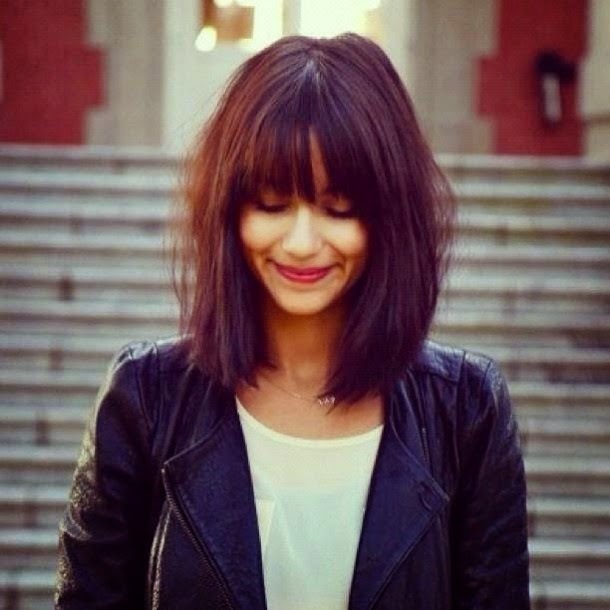 But I am definitely thinking of going that little bit shorter and maybe even have "lob" as so many people keep raving about how amazing they are. When it comes to styling my hair in the morning, I have to admit I'm pretty lazy. I hate straightening my hair as it always takes too long so most days it gets thrown up in a bun and hope tomorrow is a better day. So obviously I would like a hairstyle that I can just get up with and have no problem getting it to do what I say. I love your choices! When I get this length though, I find myself having a hard time styling it after a couple of weeks. It gets to an awkward length I guess. But definitely go with what your heart desires! I had long waist length hair since I was a kid but had always toyed with the idea of short hair. Last year I gradually began making the transition and I absolutely love my hair now. If anything I keep getting it shorter and shorter. My faves of your pics are the middle ones with a fringe - but be ware if you've never had a fringe before they can be a bit tough to manage and require styling. Be sure to show us when you get the chop! I've already got a full fringe and although it was tough to get used to, I now love it so I'm hoping I'd feel the same if I cut my hair short! I'm still really torn! Yes, I think you should go for it! 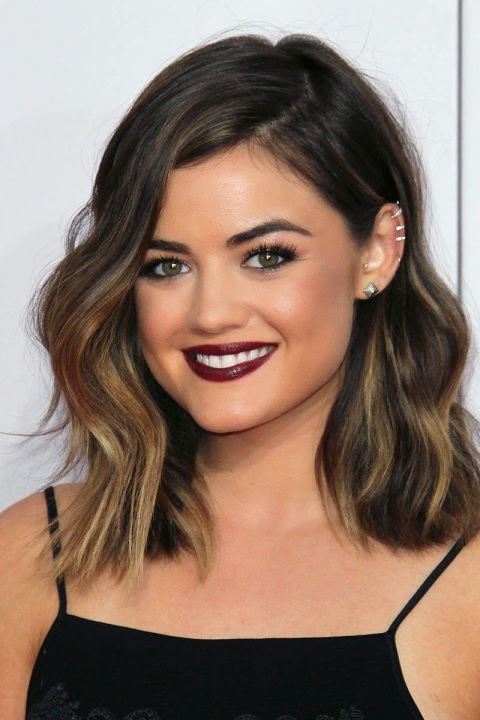 Long bob's are my fave hair style right now! I have been toying with the idea of getting my hair into a long bob too. I personally think it would be a refreshing change after having long hair for more than 10 years. 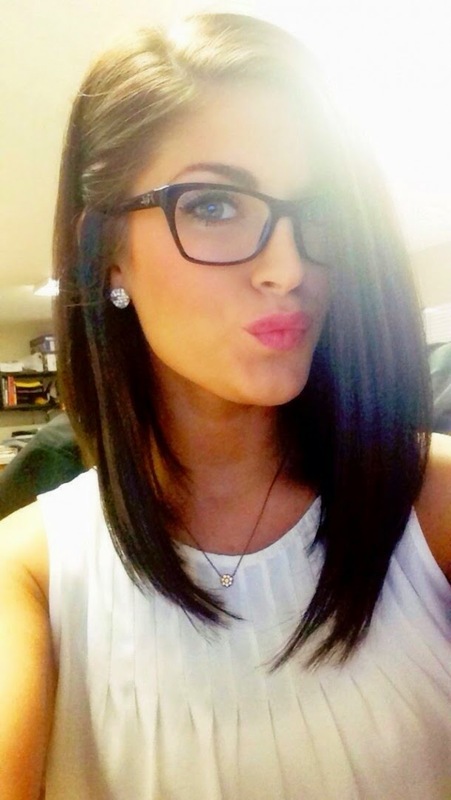 I recently cut 4 inches off my almost waist length hair and have been thinking of getting it shorter. Hope you'll show us some picture if you do get it short, I think you'll look fantastic!